One out of every four women in the United States will experience some form of domestic violence or abuse in her lifetime. 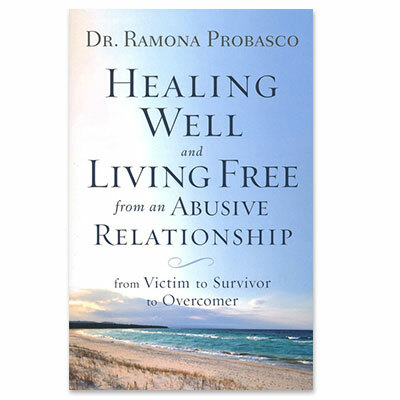 Through Dr. Ramona Probasco's own powerful personal story of coming out of an abusive relationship, along with her twenty years of experience as a Licensed Marriage and Family Therapist, she takes readers through a proven, step-by-step process for moving from victim to survivor to overcomer. With genuine empathy, she encourages the reader to call it what it is, understand the mindset of the abuser, break the cycle of violence, recognize what forgiveness is and is not, find a healthy support system, and more. Each chapter ends with a simple, heartfelt prayer, Scriptural promises readers can apply to their situation, and questions for further reflection. Readers are encouraged to go through the book individually, with a counselor, or as part of a support group. Domestic abuse can happen to anyone, regardless of race, education, socioeconomic status, or culture. But it does not have to be the end of the story. Healing well and living free are within reach.